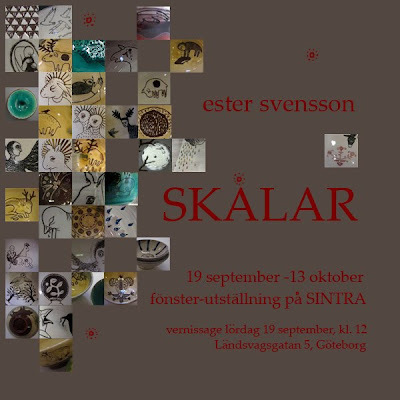 i've got a little exhibition of little bowls up for the next three weeks, at Sintra, a shop/gallery here in Göteborg. i've also been accepted as a member there for the next year, so i'll have other work there too from 1st October. wow. super esk! wish i could come to browse and buy your beautiful works! they're so amazing.